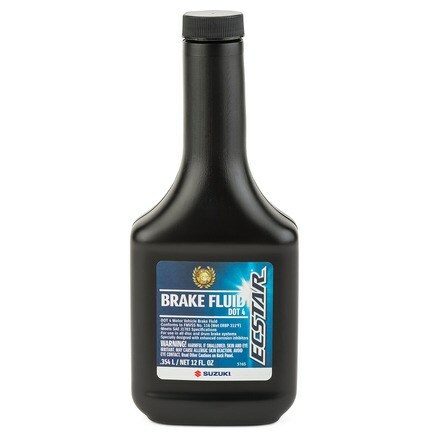 ECSTAR DOT 4 Brake Fluid is specifically formulated and recommended for use in all vehicles requiring DOT 4 brake fluid. Conforms to FMVSS No. 116 (Wet ERBP 311 degrees F,) SAE J1703 Specifications. Check your vehicle operator�s manual for manufacturer�s service recommendations. Refer to the appropriate service manual before adding or replacing brake fluid. Do not mix with DOT 5 fluid. Avoid fluid contact with brake lining or painted surfaces.